Sake Warmer Tampo Chirori, 470 cc/15.8 oz. Home | Sake Containers & Cup Sets | Japanese Sake Containers & Cups | Sake Warmer Tampo Chirori, 470 cc/15.8 oz. Sake is poured into this Sake Tampo Chirori which is immersed into a bath of hot water for a few minutes and enjoy your favorite Sake warm but Sake never be heated to boil. 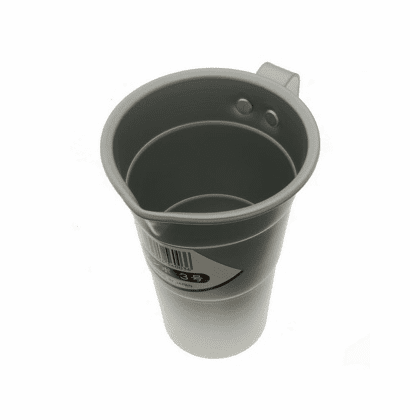 3-5/8 inches in diameter, 4-3/4 inches tall, Holds 470 cc/15.8 oz.